Farrier's Formula helps cure horses with problem hooves. 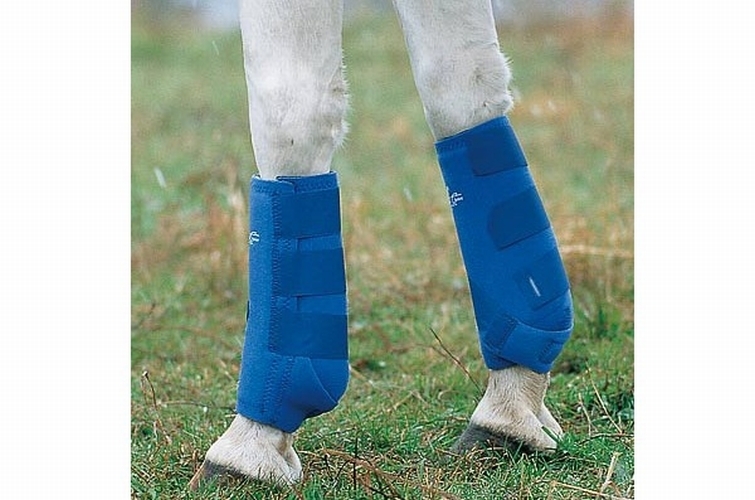 Scientific analysis shows that horses with poor quality hooves lack certain nutrients. 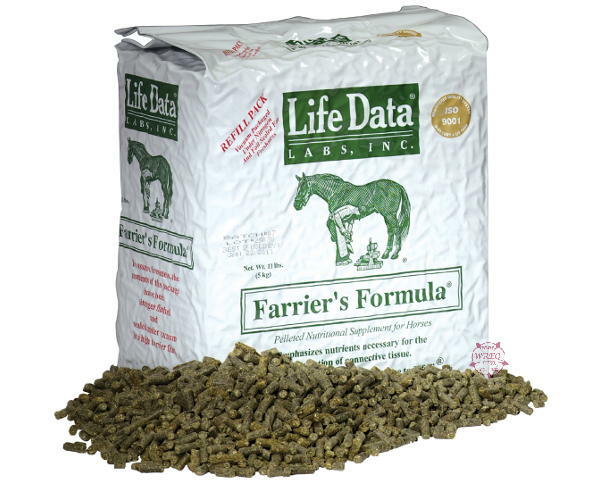 Farriers Formula provides the nutrient support that horses need to build strong connective tissue proteins. Farrier's Formula is scientifically based on a study of hundreds of horses and is the #1 recommended product by farriers for horses with problem hooves in the U.S. for twelve consecutive years. In every scoop of Farriers Formula® there is thirty years of experience and research with numerous clinical studies and field trials. In 1988, Farrier's Formula was subject to an independent UK university research evaluation to prove its efficacy. The research was done at the University of Edinburgh by Dr. Susan Kempson and is available upon request. Farriers Formula provides DL- methionine, ascorbic acid, lecithin, copper, zinc, biotin, and other nutrients that allow the horses liver and hoof corium to make a highly crosslinked hoof wall that is denser and more resistant to cracking or drying out. Farrier's Formula can be beneficial for the older horse by improving digestion (due to the digestive enzymes in the yeast culture) and supplying nutrients necessary for building strong and healthy collagen in the connective tissue including skin, hoof, bone, tendons, and muscle. For aging horses that are less active due to decreased amounts of thyroxin, Farriers Formula has iodine and the essential amino acid tyrosine, which are the necessary building blocks for the thyroid gland to manufacture thyroxin. Farrier's Formula Helps Cure Horses With Problem Hooves. For more information on the research into ingredients in Farrier's Formula click here. Horses can safely be fed Farrier's Formula for as long as needed. Farrier's Formula comes in two x 5kg nitrogen flushed and foil sealed vacuum bags for freshness. 10kg of product will be sufficient for a horse for 2 months at the initial adult replenishment feeding level or 4 months at the adult maintenance feeding level.